Mr Ho：Tai O is now a remote village with its natural beauty. It can be easily accessed by boats and buses. If the cable car is built，the place will definitely be destroyed and the influx of the tourists will make it over crowded. Please let Tai O remain as it is and please link no cable car to it. 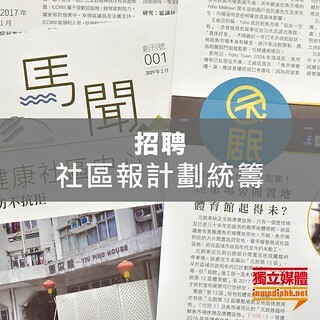 Ray：Give some space to the Hong Kong people to have a relax place but not for traveller or especially mainland people. And also respect to those whose lives in Tai-O. Alfred：Tai O should maintain its original living style and scenery. Can anyone guarantee that such a large volume of visitors will not bring any negative effect on the local environment? Eunice：Too many artificial infrastructure destroys the tranquil & serene scenic environment of Lantau，which should remain a stronghold against incessant urban invasion. It takes our predecessors much time & effort to establish our precious countryside, but now it's being devoured bit by bit by economic development. Everyone caring about our future generation should think twice before embarking on these destructive endeavours！ Cost effectiveness of such proposal should be based on what is good for the entire population of Hong Kong and that includes not only people but other wildlife which has a equal right of abode here， not just a minor previleged few.